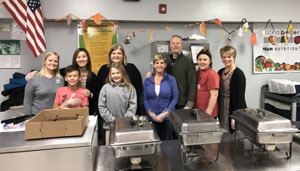 Metro North Rotarians helped Club members of the Boys & Girls Clubs celebrate Thanksgiving! 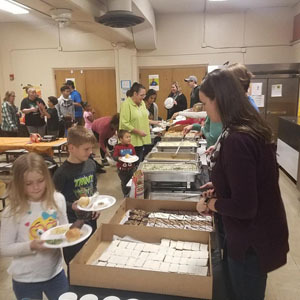 The Boys & Girls Clubs of Cedar Rapids celebrated Thanksgiving at all of their locations the week before Thanksgiving. Our rotary club has been honored to be a part of this tradition for many years. 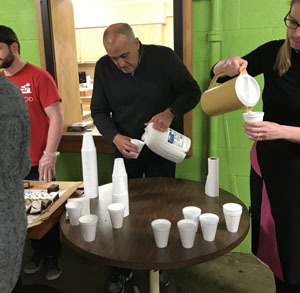 This year 16 Rotarians helped with serving dinner, carrying plates for the younger children and cleaning up. Rotarians enjoy this opportunity as a way for both themselves and their family members to give back to the community.